After years of hard work and more than 250 five-star reviews earned on Google, we are proud to say that our business, The Gold ATM, has opened a fourth location near Hartsfield–Jackson Atlanta International Airport. 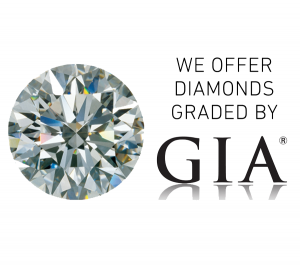 Over the years, our company has earned the reputation of the most trusted and highest-reviewed gold and diamond buyer in Atlanta. Ever since we first opened our doors, we have offered nothing but exemplary service to all our customers. As our business continues to expand, we are overjoyed to keep providing excellent service to both our existing and our new customers. We especially look forward to meeting our customers residing in communities located around Hartsfield–Jackson Atlanta International Airport, such as College Park, East Point, Mountain View, Williamsburg Park, Riverdale, Forest Park, etc. Our services are numerous; as the top gold and diamond buyer in the area, we buy gold, scrap gold, all sorts of fine gold jewelry, gold coins, etc., while offering unbeatable rates. Furthermore, we offer low-interest jewelry loans and pawn loans, with rates starting as low as 5%. Our gold buying rates are posted daily in our office, and they are always up to date. Some people aren’t sure how much their gold is worth; all of our customers can pay us a visit and get a free jewelry evaluation or consultation. Using our digital microscope, we are able to show them the finer details of their jewelry on a big screen TV; that is something you definitely won’t find at any of our competitors’ offices. Fully comprehending the nature of our business, we put a lot of thought into safety. Our customers know that they can always feel safe when they come to our offices. In addition, they know that their pieces are safe as well. We operate from safe and secure high-rise office settings, ensuring our customers’ safety at all times. Moreover, our environment is completely pressure-free; our customers are under no obligation to sell if they aren’t sure they are ready to part with their jewelry. We are the most trustworthy gold and diamond buyer in Atlanta, but we are not your typical “we buy gold” store. Our brand, The Gold ATM, is so much more; multiple services and unbeatable rates make us the highest-reviewed gold and diamond buyer in the area. If you have any additional questions, feel free to visit their contact us page. They look forward to meeting you and invite you to come experience The Gold ATM for yourself.